When will be The Case of JonBenét Ramsey next episode air date? Is The Case of JonBenét Ramsey renewed or cancelled? Where to countdown The Case of JonBenét Ramsey air dates? Is The Case of JonBenét Ramsey worth watching? "The Case of: JonBenét Ramsey" is a six-hour limited event docu-series that re-examines the unsolved JonBenét Ramsey Murder, debuts on Sunday, Sept. 18. The unscripted, limited run series comes from Emmy Award-winning Executive Producer Tom Forman ("9/11," "48 Hours," "Extreme Makeover: Home Edition") and his company, Critical Content. The series will re-unite original investigators of the infamous case, accompanied by new experts, to re-examine the unsolved case from 20 years ago. The Case of JonBenét Ramsey next episode air date provides TVMaze for you.  EpisoDate.com is your TV show guide to Countdown The Case of JonBenét Ramsey Episode Air Dates and to stay in touch with The Case of JonBenét Ramsey next episode Air Date and your others favorite TV Shows. Add the shows you like to a "Watchlist" and let the site take it from there.